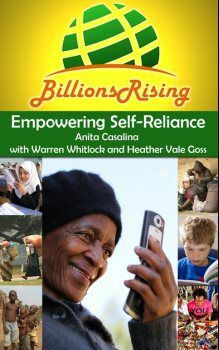 Our book Billions Rising: Empowering Self-Reliance Around the Globe was released on 11/12/13. It’s written by Anita Casalina with Warren Whitlock and Heather Vale Goss. This book delves into the philosophy of the self-reliance movement, including numerous people and organizations from around the world. We explore the idea of self-reliance from both local and global perspectives. We include a valuable Resources Section so readers can easily find ways to participate, and our eBook version contains additional links and interactive components. People who are most successful in life are self-reliant. It doesn’t matter what measurement you use, economics, perceived happiness, all the research confirms that people who take responsibility for their own life find the most satisfaction in their life and excel at all levels. The old ways of giving have always been top down. Create a big organization, supply it from the top, trickle down the benefits, and let the little people be grateful. Not only does that breed dependence, it also frequently builds resentment. While life was never easy for tribal peoples, their continued existence in remote areas demonstrates that, in general, they were self-reliant until conquering people arrived to disrupt their way of life. By superimposing our culture over theirs we create new values and disrupt their patterns for self-reliance. By intending to bring an enlightened, easier life we destroy existing systems. In our rush to help, we often cause more problems than we solve. Assisting others to become self-reliant is the key to reaching the billions of people who are not equipped to see that some simple changes could make their lives very different. While there’s plenty to be done in making certain that each person has access to food and energy and opportunities, a very basic idea we can spread to the whole world and at zero cost is that, no matter where we happen to land in life, none of us is permanently stuck there. 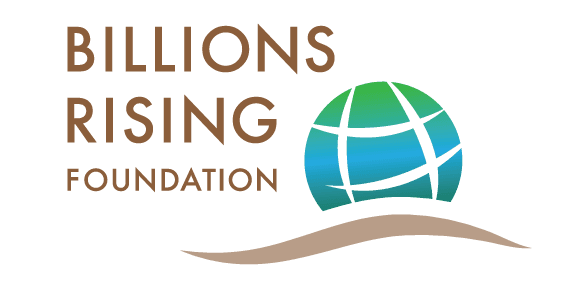 At Billions Rising, Foundation we believe that social entrepreneurs working with self-reliant people on local issues will impact the entire planet. In order to correct the problems, we need to have a greater understanding of what those problems are and where they come from.